Liverpool will visit Porto for the second-leg of the fixture at the Estadio do Draga in a late Wednesday night Champions League fixture. Having taken a two-nil advantage in the first leg of the quarterfinals, Liverpool will visit Porto for the second-leg of the fixture at the Estadio do Draga in a late Wednesday night fixture. In the reverse tie, which took place at Liverpool’s iconic Anfield Stadium, Naby Keita and Roberto Firmino scored in the first half but that still leaves ‘The Reds’ with some task for the final leg. 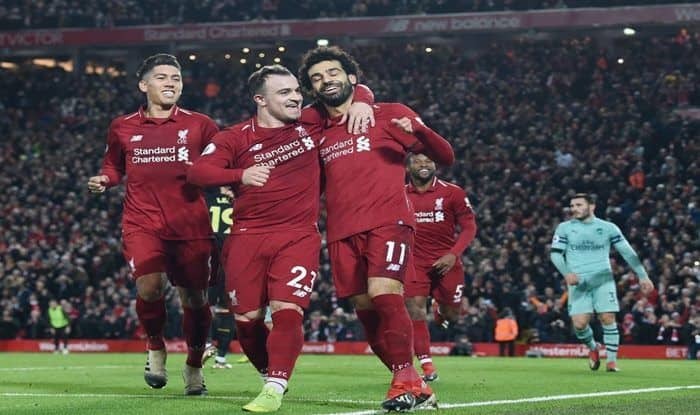 Should they progress to the semis, Liverpool will face Barcelona, where they will be up against te likes of Luis Suarez and Phillipe Coutinho, two former cult heroes of the club. Porto cannot be underestimated and after Ajax’s display against one of the favourites Juventus, the Jurgen Klopp-led Liverpool side would have taken the right message. Ahead of the fixture, the manager has warned his team to put on a fight for the last four. It will be an interesting fixture as Liverpool will aim to take another major step towards what could be their dream season. When will the Porto vs Liverpool match take place in the Champions League 2018-19? Where the Porto vs Liverpool match will be played in the Champions League 2018-19? The match between Porto vs Liverpool will be played at the Porto home stadium, Estadio do Draga. Which TV channel will broadcast the live coverage of Porto vs Liverpool match in Champions League 2018-19 in India? The Porto vs Liverpool match in the Champions League 2018-19 will be broadcasted live on Sony Ten Sports network. Where can I catch the free online streaming of Porto vs Liverpool match in the Champions League 2018-19?